← Book Launch Countdown! Where Did You Get the Idea? Book Launch Countdown — Self Publishing? Really!? 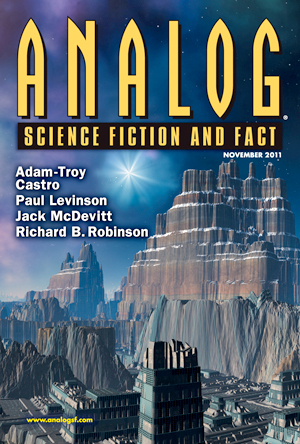 My first rejection came during high school and I have the letter signed by Ben Bova editor of Analog Science Fiction magazine. 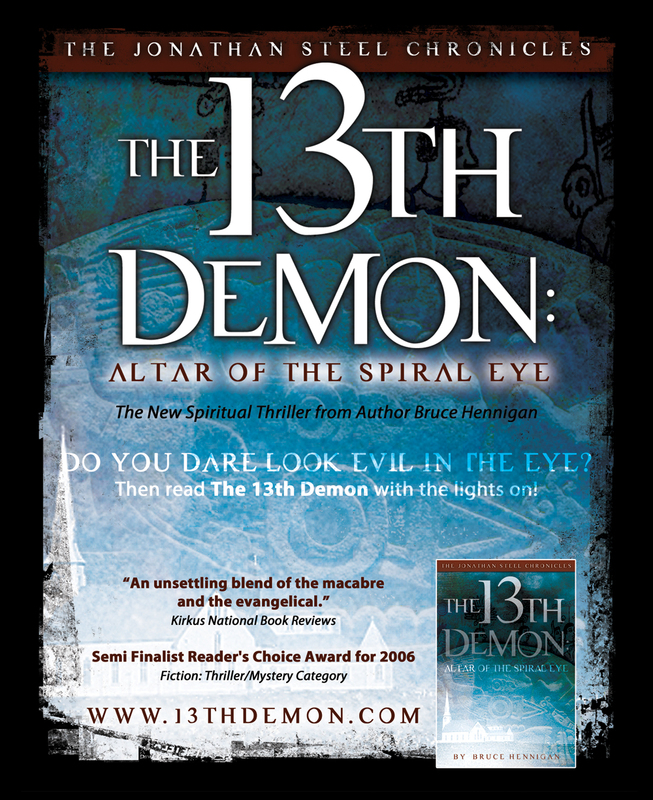 But, I believed in “The 13th Demon”. I would continue to fight on. After battling with my two agents, I went commando for a while, so to speak. I decided maybe it was time to self publish. In 2006, self publishing was a growing business but still lacked respect. The Kindle was out but no one had accomplished any success with self publishing on a Kindle. I did my research and had to choose between iUniverse and Xlibris. iUniverse had this package that guaranteed my book would be on a shelf in every Barnes & Noble in the United States! I should have read between the lines! I pulled the trigger in July, 2006 and sent in my finished manuscript. I hired my good friend, Jeremy Johnson to illustrate the cover. Jeremy had been drawing and illustrating since he was a boy and we had developed not only a great professional relationship but a lasting friendship. Jeremy’s works were outstanding. I wanted my cover to stand out on that front shelf at Barnes & Noble! I should have known something was up when I got back the editorial evaluation. It was several pages long and had this concluding statement: “Your manuscript does not qualify for the Editor’s Choice award.” What did that mean? No shelf at Barnes & Noble! That was in the fine print I neglected to read. Not only that, I could guarantee the Editor’s Choice Award by hiring a book doctor for something like $6500! If I needed a book doctor, I needed to forget being an author! I was so discouraged and upset. But, then something clicked looking at the editorial comments. When putting together a book proposal for a traditional publisher, you want them to have the best six chapters in the world! So, I realized I had shuffled my story around to put the best six chapters at the front, when in reality they belonged in the middle. I redid the story as if it were occurring in real time and added sixteen chapters. The book was completely rewritten in six weeks and I sent in the manuscript. We went through four more editorial “corrections” mainly for spelling and grammar and I authorized the final galley proof. In November, 2006 my first copy of the book arrived. I was ecstatic! The cover was awesome. But, as I read the book, I realized that somehow one of the earlier manuscripts with 25 errors in it was the one sent to the printer instead of the final edit! I was livid. But, I couldn’t prove it. They had a sheet paper saying I had approved the final edit. This is what I learned that iUniverse neglected to tell me. Self publishers produce POD books, print on demand. You order the book. It’s printed and shipped within 24 hours. But, bookstores don’t carry PODs. Why? They can’t return them! There is no warehouse holding already printed books! You buy PODs and you’re stuck with them. Therefore, bookstores will NEVER carry a POD on their shelves. My dream began to fade and I panicked. I had made a huge mistake. But, Phenix & Phenix reassured me and we launched a two-month campaign and I sold a lot of copies for a POD. I entered my book in every contest that took independent books. I won third place! I garnered surprisingly good reviews. I was so impressed with Phenix & Phenix that I decided to use their publishing company for my second book. BookPros was the self publishing arm of Phenix & Phenix. But, it was like night and day from iUniverse. First, they guaranteed conventional distribution. A bookstore could return your product. Why? Because the author was the publisher. This meant spending lots of money but the author had total and complete control over the product. How much money? Oh, I’d say I spent close to $30,000 on the second book. That included all the up front cost of producing the book, the print run for 2500 books, the publicity campaign and the warehousing, and a trip to Los Angeles for BEA. It gave me a whole new perspective on what a publisher invests in a book. My second book, “The 12th Demon: Vampyre Majick” did very well. It won first place in religious fiction in the USA Book News contest. It got better reviews than the first book. And I actually recovered about half of my investment. The vice president of BookPros was very honest. He said the model he sees at his institution consisted of authors who wanted to produce their book, get a track record, and then find an agent. He said you lose money on the first book, break even on the second, and make money on the third. He was right about that first statement. 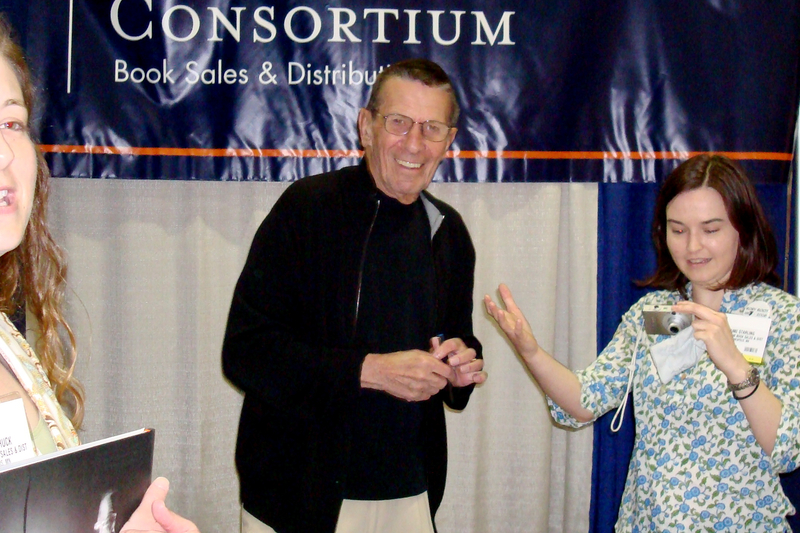 As part of their service, I attended the BEA, Book Expo America, in 2008 in Los Angeles and signed over 65 books. I met other authors, including one of my favorites, Robert Crais. I met my idol Ray Bradbury. I met Leonard Nimoy and William Shatner. My favorite story is meeting Alec Baldwin and I can’t share the specifics just yet. It involves several choice curse words! And, because of my “track record” and my attendance at BEA, I asked a fellow author friend of mine for a referral to a reputable agency. The third agent I contacted, Jeff Jernigan agreed to be my agent. And, here I am three years later with a re-release of my first book and a five book contract with a major publisher. By the way, BookPros went bankrupt in the spring of 2011. God took care of me and I was with them when I needed to be. They accomplished for me what I needed accomplished. I really miss the kind people and wonderful workers at BookPros. It was a class act operation and the writing world is poorer for its passing! So, that is how self-publishing worked for me. It started out as a disaster, but it turned into a boon! Tomorrow – the Agents!!!!! Posted on October 3, 2011, in Apologetics, Breaking News, My Writing, Speculative Fiction, Steel Chronicles. Bookmark the permalink. 2 Comments. Bruce, Will be at Shinding as Sherry says “the good Lord willing and the creek don’t rise”. My daughter and I can proof read anything you want to publish–we know way too much about grammar and spelling and way to little about our Lord. not great with computers like you are but can work on a printed sheet. I love your work and have been waiting to see what Jonathan Steel is going to do next.